The 31-year-old striker has enjoyed another prolific campaign for PSG this season with a staggering 14 goals in 13 Ligue 1 games to help Thomas Tuchel’s side open up a 13-point lead at the top of the standings. 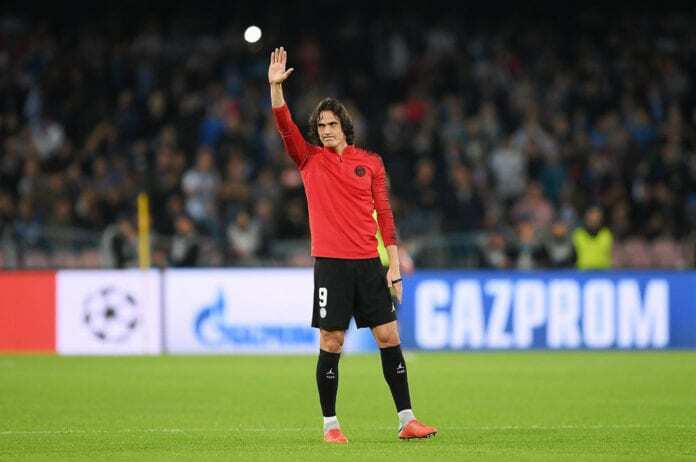 However, with just 18 months remaining on his current contract, doubts over Cavani’s future have grown recently with the Uruguayan remaining relaxed over what’s next for him. “I’m very quiet. For me in football, things can change,” Cavani told Canal Plus. “As I’ve said many times, decisions do not only depend on players. “As I said when speaking about my contract, I have until 2020 with PSG. I want to go to the end of my contract. I do not know what will happen after. As for finishing his career back in Uruguay, Cavani told RMC Sport: “I do not know if I’m going to finish my contract and go back to my country. “The truth is that it’s something that I also think about. Cavani, who will turn 32 next month, scored a hat-trick in PSG’s 9-0 thrashing of bottom-placed side Guingamp in Ligue 1 on Saturday. Another hat-trick from Kylian Mbappe along with Neymar’s brace and a late goal from Thomas Meunier sealed the win for PSG. The French champions will now turn their focus on to Wednesday’s Coupe de France Round of 32 match against Strasbourg, who sit fifth in Ligue 1 and 21 points behind PSG having played two more games than the league leaders.